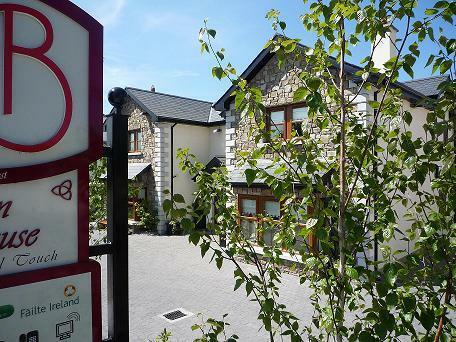 We at Avlon House Bed and Breakfast are over 20 years supplying visitors to Carlow with quality accommodation and while endeavouring to improve our product all the time, we offer one of the best accommodation solutions available in Carlow town. We have won a 2012 “AA 4 Star Highly Commended Award” for consistently offering a high quality product, an honour only bestowed on the top 10% of Bed and breakfast 4 star establishments in both the UK and Ireland. We are also proud to carry the “Failte Ireland 4 Star Award”. Avlon House B&B strongly supports the development of local amenities through its continuing membership of Carlow Tourism. With your support we at Avlon House B&B will ensure your guests continue to enjoy the best hospitality Carlow has to offer. While offering super saver rates, we will never compromise on quality and your tariff will always include breakfast from our wide and varied Menu available from 7am daily. Visit www.avlonhouse.com for rates or to make a booking, or why not give us a ring, especially if you have longer stay requirements. Our 5 en suite Bed Rooms all have Power Showers, Multi Chanel TV, Tea / Coffee Facilities. Hair Dryers, Trouser Press, Telephone and Complimentary Supplies including: Shampoo, conditioner, Shower Gel, Body Lotion, Soap, Razor, Tooth Brush, Nail Kit, Vanity Kit, Sewing Kit, Shoe Shine, Comb, Mineral Water, Biscuits. There are also two lounges for guests use - one with 700 DVD Library the other with daily papers & a 300 title book Library, where light evening snacks can also be served. Out side there is a log smoking cabin & patio area with barbeque. Again thank you for your support over the past 20 years and I hope you will see fit to recommend us again during 2012. The house was sensitively constructed & decorated to include modern creature comforts, offering a charm and elegance of the modern era. Bedrooms are decorated with traditional furnishings. The spacious and elegant en-suite bedrooms have direct dial telephones, hair dryers, trouser press, Tea coffee facilities broadband access and multi channel televisions. Toiletries, Mineral water, BroadBand Access are supplied with our compliments. 48hrs in advance of arrival, outside this the cost of first nights accommodation is due in full and will be charged to your credit card or taken from deposit. If check in time is going to be later than 6pm on due date please advise Avlon house reservations. Experience a variety of heritage attractions throughout Route 1, Route 2 and Route 3 such as Brownshill Dolmen just outside Carlow, the very famous Rock of Cashel in Co. Tipperary, the Dunbrody ship in Co. Wexford and and of course, Kilkenny Castle. If you want to see what rural life in is really like in the South East,take a trip to the scenic village of Inistioge or visit the charming Barrow-side village of St. Mullins. A jewel of a county with a wealth of scenery and history – from rich pastureland and colourful mountains to the deep and historical Barrow River Valley. Everywhere in the landscape is the resonance of her ancient pre-Celtic past. A county of green, vibrant colours, whose welcoming people are much given to outdoor and sporting activities, such as gentle river cruising, golf or even hang gliding on Mount Leinster. Carlow Town marks the meeting of the Barrow and Burrin rivers, a point which was believed to be once made up of four lakes, hence the gaelic name, Ceathar Loch, or Four Lakes. The main towns in the county are Bagenalstown, Sir Walter Bagenal's 18th century attempt at replicating Versailles, Borris, a handsome estate town, full of charm and heritage and home to the MacMurrough Kavanagh family, former Celtic Kings of Leinster, Leighlinbridge, gold medal winner in Europe's Entente Florale in 2001, an attractive town with a beautiful arch bridge, said to be one of the oldest functioning bridges in Europe, Tullow, ancestral home of the famous Wolseley family - of motor car fame -and the picturesque and historic village of St. Mullins. Carlow stands at the confluence of the Barrow and Burrin rivers. Tradition has it that the junction of the two rivers once formed four lakes. The name ' Carlow ' means Four Lakes. The ancient town of Carlow is a bustling centre with great shopping, fine restaurants and first-class accommodation. Carlow has a well-earned reputation for lively festivals throughout the year, including the internationally renowned Eigse Arts Festival, 10-day extravaganza featuring visual arts, theatre, performance, comedy, dance, literary events and more. While the river remains an important focus for the town, with a long established Rowing Club and annual regatta, other influences include an international student population, a thriving arts and craft community, a long and lively tradition of Irish language use and culture. Carlow is a golfer's paradise - regardless of your skills or ability, you will find an impressive variety of golfing facilities to suit all levels. The novice is also well catered for with driving ranges, pitch & putt and par 3's. All of the courses listed here aim to provide the golfer – whether beginner or advanced - with an unforgettable experience and a warm, friendly welcome. For non-golfing partners and families, there is a treasure trove of places to visit and things to do, which are listed elsewhere in this guide. The Carlow Garden Trail features many different types of gardens and parks including great old gardens that have been lovingly restored and maintained throughout the years, and smaller gardens which are maturing beautifully with time. Award winning garden centres and forest parks complement the joy of a visit here. Carlow Car club recently got the green light to host Carlow’s biggest sporting event for 2009 - The Carlow stages rally on the 10th of May. Motorsport Ireland wrote to the club and will grant a permit for the event. It is great news for the whole county and the Carlow economy next year. 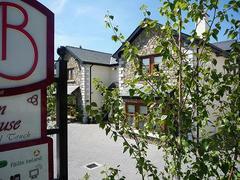 The event will have a new headquarters in the Lord Bagenal Inn, Leighlinbridgem Co. Carlow. Walking and cycling are fun ways to enjoy the great outdoors and take in the beautiful scenery of the surrounding countryside. And the good news for those who like to travel this way, is that Carlow has a wonderful variety of facilities, all located in a relatively compact area. If you’re a serious rambler or just like to stretch your legs and enjoy the view, Carlow is a brilliant destination to explore on foot. Some of Ireland’s most satisfying walks are to be found in Co. Carlow. Home to three of Ireland’s long distance walking routes – The Leinster Way, The Wicklow Way and the Barrow Way - the county is blessed with hundreds of kilometres of excellent and varied walking. Experienced walkers will enjoy the invigorating challenge of Carlow’s way-marked mountain treks, whilst novices will find peace and tranquillity on peaceful riverside, park and country walks. The walks featured here are just a sample of the many available to the visitor to Co. Carlow so feel free to wander at will …..
Cyclists are well catered for with Celtic Cycling, based in Bagenalstown who organise leisurely “go-as-you-please” self guided cycling tours through the by-roads and country lanes of counties Carlow, Kilkenny, Waterford and Wexford in South-East Ireland. The Barrow Way follows the towpath, originally a path alongside the River Barrow to allow the pulling of barges or boats for transport. The ground is level throughout passing good farmland where tillage and cattle farming is predominant. The path offers much of architectural interest to the visitor – bridges, many arched, and pretty lock houses, some still in use. Many interesting historical features are located in close proximity to the river including castles, abbeys, old bridges and derelict mills. The full length of the Barrow Way from Lowtown to St. Mullins is 113 kilometres (70 miles). Alternatively, the route can be easily explored by taking short sections of the walk in a series of daily trips. Accommodation is available from 3 to 19 kilometres and varies from hotels to self-catering and bed & breakfasts. Most accommodation providers are delighted to transport you to and from your starting and finishing points. Towns offer a full range of services while villages have good facilities that are designed to meet the needs of the walker. STAGE 1 of the Barrow Way starts in Lowtown and a distance of 23 km (14 miles) takes you to the town of Monasterevin. The raised banks of the canal offer beautiful vistas of the surrounding countryside with views of the Hill of Allen and the Wicklow Mountains. STAGE 4 Carlow to Bagenalstown - 16km (10 miles). Milford, approximately 7 km south of Carlow is one of the most attractive stretches along the River Barrow. Set in an idyllic location with three bridges, mill buildings and a large wooded area it is famous as an aquatic triangle with regular spottings of herons and kingfishers. This stretch of walk is rich with historical buildings and castles including the Black Castle at Leighlinbridge and the many architectural gems in the town of Bagenalstown, where thiswalk ends. STAGE 5 takes the walker from Bagenalstown to Graiguenamanagh – 26km (16 miles). This route passes the small villages of Goresbridge and Borris before ending in Graiguenamanagh, a picturesque abbey town and a popular boating and craft centre. Overlooking the River Barrow is Duiske Abbey founded by Norman monks from Stanley Abbey, Wiltshire in 1204. The “Early English” design boasts a lofty nave and it is the largest of Irish Cistercian monastery churches. The South Leinster Way is a long distance walking route which runs from Kildavin, Co. Carlow to Carrick-on-Suir in Co. Tipperary covering 102 kilometres (64 miles) in length and ascending 1600 metres. STAGE 1: Kildavin – Borris 22km (14 miles). From Kildavin the route passes along forest tracks over the northern slopes of Mount Leinster to reach the town of Borris. The “Nine Stones” vantage point at Mount Leinster offers amazing views of the Barrow Valley and Brandon Hill. STAGE 2: Borris – Graiguenamanagh 12km (7 ½ miles). This stretch follows the towpath along the River Barrow and is particularly attractive as it passes through rich deciduous woodland and old mills. Graiguenamanagh marks the end of this stage – a quayside, boating town lying in the county of Kilkenny but connected via a bridge over the River Barrow to its twin village of Tinnahinch in Co. Carlow. STAGE 3: Graiguenamanagh – Inistioge 16km (10 miles). This walk crosses the slopes of Mount Brandon by a series of forest walks before reaching the pretty village of Inistioge. In recent years, Inistioge has also witnessed the development of the film making industry in Ireland. Famous films shot here include Widow’s Peak and Circle of Friends. STAGE 4: Inistioge – Mullinavat 30km (19 miles). Suitable for the seasoned walker. This section of the way starts along the banks of the River Nore and continues via forest roads over several hills to reach Mullinavat. STAGE 5: Mullinavat – Carrick-on-Suir 22km (14 miles). This stretch crosses the River Blackwater and passes the village of Piltown en route to the end of the walk in Carrick-on-Suir. This route covers a distance of 132km (81 miles) in length commencing in Marley Park, Dublin and finishing in the beautiful village of Clonegal located in the River Slaney valley in the east of the county. A combination of suburban parkland, forest trails, wild and scenic mountain landscape and finally rolling countryside offers a wonderfully varied, 8 to 10 day experience for a hill-walker of average fitness. Variety in buildings and wildlife is a great characteristic of this route with regular sightings of red deer, silka deer, hares, foxes, squirrels and badgers. The Slieve Margy Way is located in the north western corner of Co. Carlow and south-eastern corner of Co. Laois and allows the visitor explore some of the most spectacular scenery in Ireland. The route is a circular network of walking tracks through a number of villages, many in close proximity to Co. Carlow including Graiguecullen, Maganey, Arles, Wolfhill and The Swan. Passing along the banks of the Barrow river, the Slieve Margy Way then takes to the hills rising over 1,000 feet to the top of the Castlecomer Plateau to join the Swan Loop. The Way has been designed to allow walkers join it at any point and walk in either direction. Full map available from Carlow Tourist Office on 059-9131554. A range of shorter walks combining the best of variety and enjoyment has been established by the Irish Heart Foundation in co-operation with community groups and the local authorities in Co. Carlow. Known as Sli na Sláinte routes, the signs are easily identifiable, at 1km intervals, by the warm, radiant sun and cheerful human figure in yellow, blue and red symbolising the vitality and energy of life. A series of brochures covering each route can be obtained from Carlow Tourist Office, College Street, Carlow. Routes can be found in Carlow Town, Ballymurphy, Clonegal, Hacketstown, Leighlinbridge, Rathanna and St. Mullins. Click the map to the right to see an expanded version. We are located on the R448 (formerly N9) 7 min walk north of Carlow town Centre. From Dublin Airport take M1 signed Dublin exiting at junction 1, join M50 direction south, leave M50 Junction 9 signed Limerick, Joining N7 Direction South signed Limerick, Cork, Waterford, Joining M7 at Junction 9, leave M7 for M9 at junction 11 signed Waterford, leave M9 at Junction 4 Carlow North, signed Carlow R448 go Straight through Deer Park & Dr. Cullen roundabouts and we are located 900m on right before Topaz Service station. From waterford take M9 direction North signed Dublin, From Kilkenny take M9 Direction North Signed Dublin, exit Junction 13 on R448 to Carlow through all traffic lights (3 sets) under rail way bridge and the we are 500m on left just past Topaz Service station.